Home » General Interest » Are Old Windows Thicker at the Base Because Glass Flows Like Syrup ? This is one of those urban myths that refuses to die. 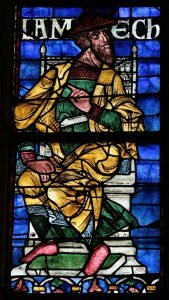 The idea that glass is really a viscous liquid, so thick that it takes centuries for it to flow and that is why Medieval glass is thicker at the bottom than than the top. Glass … is actually neither a liquid nor a solid. It is an amorphous solid—a state somewhere between those two states of matter. Glass is often referred to as a “solid liquid”, the molecules of which are held together relatively loosely, like extremely thick clear syrup so it seems reasonable to think old glass would sag under the effect of gravity, making panes thicker at the bottom. In medieval European cathedrals, the glass sometimes looks odd. Some panes are thicker at the bottom than they are at the top. The seemingly solid glass appears to have melted. This is evidence, say tour guides, that glass is actually a liquid. And, because glass is hard, it must be a supercooled liquid. Glass, however, is actually neither a liquid—supercooled or otherwise—nor a solid. It is an amorphous solid—a state somewhere between those two states of matter. In fact glass isn’t really very runny at all. According to calculations published in the Proceedings of the Royal Society in 1999 by Dr Yvonne Stokes of the University of Adelaide, it would take at least 10 million years for a window pane to become just 5% thicker at its base. And yet panes of Medieval glass does seem to be thicker at their base. However other, even older glasses do not share the same melted look. In fact, ancient Egyptian vessels have none of this sagging. The answer to why old European glass is thicker at one end therefore lies in how the glass was made. At that time, glassblowers created glass cylinders that were then flattened to make panes of glass. 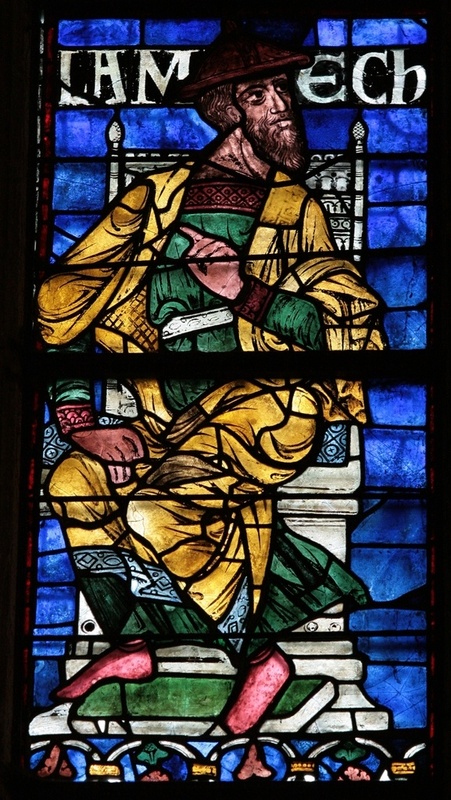 The resulting pieces would never have been uniformly flat, a fact that medieval glaziers exploited by standing panes up on their thicker ends when installing them, probably to avoid breakages and make it easier to handle them. This ultimately gives them a ‘melted look’, but does not mean glass is a true liquid.